Normally this column deals with water issues and water folks in Central Colorado, but in the aftermath of the weirdest election season in my lifetime this iteration will take on a statewide and national flavor. With all the uncertainty before us, is it possible to glean some idea of the effects the voters have wrought upon themselves? President-elect Trump is rumored to be about to install a non-scientist, Myron Ebell, as the head of the Environmental Protection Agency. Mr. Ebell has spoken out against the “hoax” of global warming, and many hail his ascension as necessary to clip the wings of a federal government run wild under President Obama. “It’s polar night there now – the sun isn’t rising in much of the Arctic. That’s when the Arctic is supposed to get super-cold, when the sea ice that covers the vast Arctic Ocean is supposed to grow and thicken. The Arkansas headwaters up at Leadville were an acid mine drainage collection system in the days before the EPA’s California Gulch Superfund designation. Now there is a treatment plant run by the U.S. Bureau of Reclamation at the mouth of the Leadville Mine Drainage Tunnel and a gold medal trout stream below the site. There was a massive fish kill in the Alamosa River downstream from the gold cyanidation operation at Summitville. Some folks blame their cancer and loss of friends and family down the Arkansas River at Cañon City where the Cotter Mill uranium processing operation polluted the groundwater. These are Environmental Protection Agency Superfund sites, all of them. The Feds are the only organization capable of this type of cleanup. Colorado can’t afford projects of this magnitude due to the restraints of TABOR, and most counties are clipping off workers or freezing payroll just to keep plowing snow and managing roads. The EPA took a beating from Republicans after the Gold King Mine Spill into the Animas River in 2015. The agency always admitted that opening up the mine was a mistake and they’ve steadily worked on mitigation planning and water quality control. “San Juan County Administrator Willy Tookey, too, heaped praise on the EPA for reimbursing the more than $349,000 the county spent in response to the spill, as well as contributing to the local economy,” – The Durango Herald. The recreation economy has benefitted from EPA projects and the Clean Water Act, so a dismantling of the regulations adds to business uncertainty and environmental angst. Every candidate from the top of the Colorado ballot to the bottom stood firm regarding water resource administration. Colorado water rights law and administration should be continued as controlling over federal water rights, they say. The new signature requirement will be quite a trick to pull off. The last time that many registered voters agreed on something was while voting down Referendum A in 2003. The referendum would have established a two billion dollar fund for water projects to ease some of the pain incurred during the historic 2002 drought. 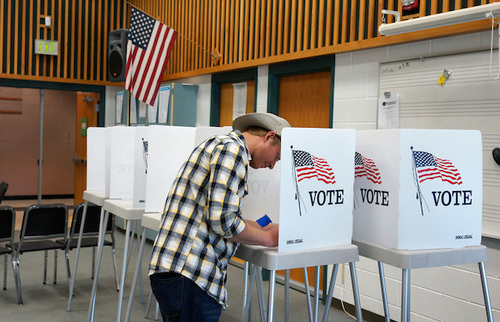 Proponents didn’t have a project list and the referendum failed in all 64 counties. The opponents of the oil and gas industry could have roped in the entire industry with their 5,000-foot setback requirement initiative and they may be back. I wonder if two percent of Weld, Routt, or Moffat will sign on? The U.S. Forest Service budget has been taking a beating with the massive wildfires in the West over the past few seasons. As we go to press the new administration has not named their choice for Interior Secretary. “Western governors have urged timely action by Congress to end the practice of ‘fire borrowing’ used by the U.S. Forest Service and the Department of the Interior to fund wildfire suppression activities. “We strongly urge Congress to resolve this enduring issue as among its highest priorities when it returns to complete the business of the 114th Congress. John Orr lives in Denver. He became interested in writing the “rough” history of Colorado water after the failure of Referendum A during the November 2003 election. No one was aggregating water news for Coloradans so John stepped into the void. He works as a water resources administrator for a Front Range utility when he isn’t linking and writing. http://www.coyotegulch.net. Support Colorado independent media, please click here to subscribe to Colorado Central. Click here to go the the website to view the Blue Book and other election materials. Colorado’s Water Plan envisions spending $100 million annually on water projects, but existing sources of funding are drying up. The Legislature’s interim water resources review committee heard some of the reasons for that, as well as recent poll results that indicate the state’s voters might be ready to back a large-scale funding approach. Revenues from the state’s mineral severance tax, which are used in part to fund water project loans, will drop significantly this year as a result of a state Supreme Court decision and depressed oil and gas prices, said Bill Levine, budget director for the Department of Natural Resources. The court decision agrees with BP Petroleum’s assertion that Colorado had been overtaxing companies by including production costs that should have been deductible. State revenues took a double hit, both from the lower present value — about half of the price two years ago — and complicated tax code provisions that factor in losses from prior years. “We’ve hit the cliff and gone over the cliff,” Levine said. As a result, revenues that totaled $271 million in 2014 dropped to $57 million this year. In addition, the state is looking at repaying potentially $20 million to BP and other companies based on the court case. Sen. Jerry Sonnenberg, R-Sterling, took issue at blaming the Supreme Court for the predicament. “This is the cost of the Department of Revenue making poor decisions 10-15 years ago. The Supreme Court is not to blame,” he told Levine. With Democrats doing everything they can to link Republican presidential nominee Donald Trump to down-ballot candidates, one of the races to watch in Colorado may be that of the often overlooked Third Congressional District. Why the Third, which covers most of the Western Slope and a swath of southern Colorado to Pueblo? And why now? National Democrats believe this may be the year they take control of the U.S. Senate and make inroads into reclaiming the House, and that means looking at races that might not have been in play in the past. Groups like Emily’s List and the Democratic Congressional Campaign Committee’s Red-to-Blue have invested in two bid by Democratic women in Colorado – for the Sixth Congressional District seat held by Republican Rep. Mike Coffman and for the Third Congressional District seat held by Republican Rep. Scott Tipton. Third-term Congressman Tipton faces off this fall against Democrat and former state Sen. Gail Schwartz. He’s a somewhat baby-faced and plain-talking 59-year old from Cortez. She’s an ever-smiling, and admittedly short ball of energy who has made her life in some of Colorado’s most popular and upscale ski towns, most recently Crested Butte. Many factors set these two candidates apart, including how they view the future of the Third District. Tipton is focused on the economy and jobs that are tied to the district’s energy industry, and hopes to persuade Congress to turn over Colorado’s federally-owned lands to the state. Schwartz’s focus is on employment, too, but it’s combined with an interest in protecting Colorado’s public lands and building up the outdoor recreation industry that she believes will help replace some of the jobs lost in mining. Schwartz has lived in Colorado since graduating from the University of Colorado in 1971. She moved to Aspen back then, working with a company that designed ski areas in the United States and Canada. She also had a hand in developing some of the Roaring Fork Valley’s first affordable housing. She has been in public service since the 1980s, sitting on the state’s Commission on Higher Education and the University of Colorado Board of Regents before being elected to the state Senate in 2006. She was term-limited in 2014 and points out she has never lost an election. She defeated an incumbent Republican regent in 2000 and an incumbent Republican senator in 2006. Schwartz, 67, and husband Alan moved to Snowmass Village in the 2000s, although more recently they’ve called Crested Butte home. They have three daughters and two grandchildren. Tipton, who was born in New Mexico, has lived almost his whole life in his mostly-Western Slope congressional district. He holds a degree in political science from Fort Lewis College and is the first member of his family to graduate from college. Until recently, he owned Mesa Verde Pottery, which at its peak employed 22 workers and has been in business for more than three decades. Tipton and his brother sold the business to the Ute Mountain Utes tribe in 2014. He and wife Jean have two daughters. Tipton first ran for Congress in 2006, losing to Democrat John Salazar. He then headed to the state Capitol, serving in the 2009 and 2010 sessions. At the end of 2010, he challenged Salazar again for the Third District seat and won by 5 percent, to date his closest margin of victory. Tipton has been in the U.S. House since that 2010 election. The Third Congressional District covers more than one-third of the state by land-mass. Its largest population centers are Grand Junction to the west and Pueblo to the east. Some 35 percent of Colorado is managed by the federal government. Most of that is in the Third. For voters there, recreation and tourism (including hunting and fishing) compete with ranching, which uses public lands for grazing cattle. And everyone competes for water. 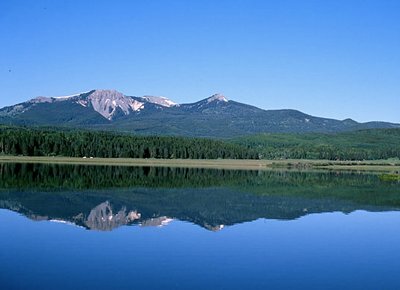 The district includes the headwaters for the Rio Grande, Yampa, White, North Platte and the Gunnison rivers, to name a few. The mighty Colorado River, although it starts in Rocky Mountain National Park, cuts through the district on its way to Utah, Southern Nevada and Arizona. The district also includes many of the state’s most popular ski resorts: Aspen, Crested Butte, Snowmass, Steamboat Springs, Telluride and Wolf Creek are among them. Politically, the Third has leaned Republican for the past several election cycles. In 2012, Republican Mitt Romney won it by 6 percent, with 52 percent of the vote to President Barack Obama’s 46 percent. John McCain won the district four years earlier with a 3 percent margin – 50 percent to Obama’s 47 percent. Obama won Colorado as a whole in both those elections, with a statewide victory over Romney by 5 percent in 2012 and a 9 percent win over McCain in 2008. The U.S. Census reported an unemployment rate of 6.7 percent in 2014. But that was before the closure of several of the district’s largest coal mines, including the Elk Creek and Bowie #2 mines, both in Delta County. Shutting down both mines over the past two years has resulted in the loss of about 1,000 high-paying jobs. Job losses in oil and gas have also plagued the district. That’s part of what drives Tipton: helping those hard-hit communities find ways to survive. Hoping to help out those communities, Tipton has co-sponsored and carried bipartisan legislation such as a hydropower and jobs bill, signed into law in 2013 by President Obama. Tipton and Democratic Rep. Ed Perlmutter of Golden also sponsored a bill to encourage small businesses access to capital from small banks and credit unions. Why should Tipton return to Congress? Kraig Andrews of Grand Junction, a project manager for a construction company, likes Tipton’s accessibility and efforts on behalf of Mesa County. Andrews said Tipton has pushed to keep public lands open for the outdoor recreation industry in Mesa County, where 80 percent of the lands are federally-managed. “We thrive on outdoor recreation here,” Andrews said, citing the county’s man mountain biking, hiking, hunting and fishing businesses. Tipton advocated for keeping trails open on federal lands that had been cut off by the Bureau of Land Mangement, Andrews said. Schwartz, in her eight years in the Senate, also worked on jobs creation. She sponsored legislation on rural broadband that employs workers to build and maintain internet infrastructure and on a “cottage foods act” that allows people to produce foods in the homes for local sales. Rochelle Needham of Gunnison County has known Schwartz for years, and applauds her devotion to the environment and love of nature. “She’s worked tirelessly for the Thompson Divide” near Carbondale that the Bureau of Land Management had considered opening to drilling in 2014. Schwartz is poised and skilled at working around people who can be difficult to work with, Needham said. 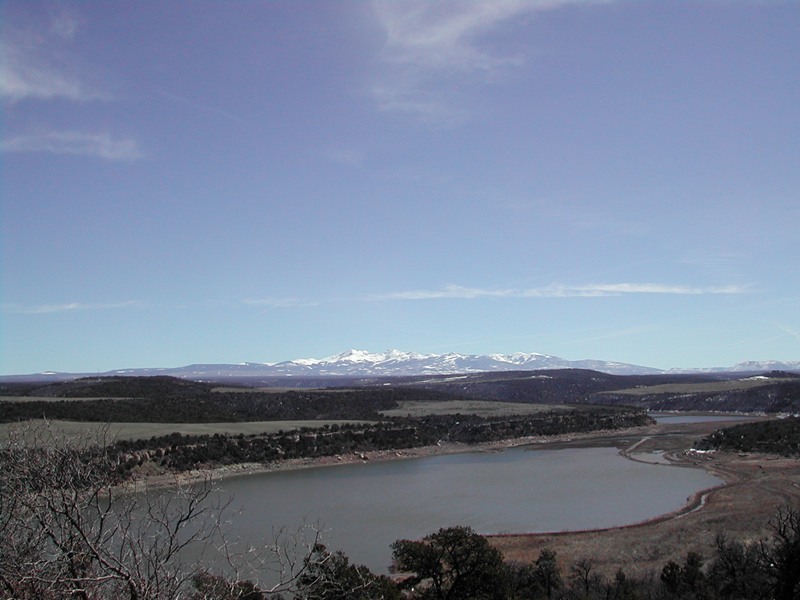 Diana Glazer, also of Gunnison, said Schwartz more accurately reflects the needs and positions of people on the Western Slope, especially on water and the environment. So far, Tipton has raised nearly $1.2 million in his bid for his fourth term. He has received money from the Koch Industries PAC and the Right to Rise PAC, which was formed to support former Florida Gov. Jeb Bush’s presidential run. He also has taken contributions from a variety of energy companies and oil, gas and coal-backed political action committees. Among his individual donors: several members of the Coors family, billionaire Philip Anschutz, American Furniture magnate Jake Jabs, Pueblo Chieftain publisher Bob Rawlings, and conservative education reformer and oilman Alex Cranberg. Schwartz has reported raising about half of Tipton’s amount – $622,960 as of June 30. She has taken contributions from California environmentalist Tom Steyer, businessman and philanthropist Rutt Bridges, Stryker Medical Equipment heiress Pat Stryker, House Minority Leader Nancy Pelosi of California, and actress Melissa Gilbert of Little House on the Prairie fame, who’s running for Congress in Michigan. Schwartz’s campaign also is funded by Emily’s List, Planned Parenthood and a variety of labor unions, including education and trades groups. Schwartz’s biggest brush with controversy may well have been in 2013, when she co-sponsored a bill to raise the renewable energy standard for some of the state’s rural electric co-ops. Among the bill’s notable features: it exempted a handful of rural co-ops, including Holy Cross Energy in Schwartz’s district, which supplies electricity to the Aspen and Vail ski resorts. Opponents, including the free-market Independence Institute, claimed Schwartz and co-sponsor Senate President John Morse of Colorado Springs did not know how the utilities worked and that the bill would drive up energy costs for rural Coloradans. Gov. John Hickenlooper called the bill “imperfect,” but signed it anyway. Schwartz has been accused of siding too much with environmentalists, which led to an attack ad in the 2010 election from the dark money group Western Tradition Partnership. The ad featured Schwartz’s head superimposed over the body of Donald Trump, saying, “You’re fired!” to the voters of her Senate district. Tipton also has had his share of missteps. In 2011, he apologized to the House Ethics Committee after his daughter used his name to attempt to gain contacts for her employer, a broadband company. A month later, it was reported that Tipton spent $7,000 with vendors who did business with his nephew’s company – the same broadband company that employed the Congressman’s daughter. In 2012, Tipton used taxpayer money to promote a campaign event, inadvertently listing it on his congressional website. Earlier this year, Tipton was criticized for offering a bill authored by SG Interests, a Texas oil and gas company whose employees have contributed more than $37,000 to his campaigns over the past six years, according to OpenSecrets.org. Schwartz and Tipton sat down last week (separately) to talk with The Colorado Independent about what matters in the district and what they’ll do to win votes. Both made their campaign pitches to water leaders at last week’s Colorado Water Congress summer conference in Steamboat Springs. During Schwartz’s remarks to the Water Congress, Republican Rep. J. Paul Brown of Ignacio asked her about her views on the Obama administration’s “war on coal.” Schwartz replied that she represented the three Delta County mines in her Senate district and just the day before had visited the Trapper Mine in Craig. “I’ve advocated for both coal and oil and gas,” she told him. Schwartz told The Independent that she has worked on a number of mining issues, from dealing with mine safety issues to finding funding for infrastructure, such as roads and bridges, that mine employees travel on. She counts among her accomplishments her work advocating for an exemption on the federal “roadless” rule that prohibits road construction on certain National Forest lands. Schwartz explained that the exemption allowed coal mines to build vents to vent methane gas. That greenhouse gas can be captured from vents, she noted, citing a program in which the Aspen Ski company uses coal mine methane as an energy source. Schwartz also touted that she stood up to the environmental community on methane captures being included in the state’s renewable energy portfolio. The Colorado Petroleum Association recognized her efforts to help the industry with its “Legislator of the Year” award in 2011. Schwartz said the free market, not government regulation, should determine the nation’s energy portfolio. She also advocates for opportunities to develop renewable energy – specifically biomass, geothermal and hydroelectric power. Defense of public lands is among Schwartz’s strongest attacks on Tipton’s record. She points out that the GOP platform calls on Congress to pass legislation requiring the federal government to turn over federal lands to the states, which can then sell them off to the highest bidder. Tipton co-sponsored the Federal Land Freedom Act of 2015 that would “empower states to control the development and protection of all forms of energy on all available Federal land.” Schwartz claims that bill would effectively turn over Colorado’s public lands to energy developers, jeopardizing the Third District’s outdoor recreation economy and threatening thousands of jobs. “This is simply code for privatizing and selling” public lands, Schwartz said, because no state can possibly afford to manage its public lands. Still, Schwartz is critical of what she see as government overreach on certain public lands, which she notes has led to tensions like the Bundy standoffs in Utah and Oregon. Although she has the backing of some environmental groups, Schwartz had strong criticism for some in the environmental community, saying that certain groups’ instinct to “stop everything” isn’t helpful. “We have to protect habitat and species, but in a way that respects the state’s approach,” she said. In his remarks to the Water Congress last week, Tipton touted his support for states’ rights, especially water rights, and chastised Washington for federal overreach, especially with environmental regulations. He’s currently sponsoring a bill that would mirror one passed this year in Colorado to tell the federal government “hands-off” on Colorado water rights. Control over water is a hot issue in the district. In 2011, the U.S. Forest Service demanded that ski resorts turn over their water rights in exchange for renewing their leases on public lands. The ski companies sued and the Forest Service rules were tossed because the agency hadn’t properly followed federal procedural guidelines. Late last year, after a five-year fight, the Forest Service backed down. The water rights issue also affected farmers and ranchers who graze herds on Bureau of Land Management public lands. The BLM had demanded they also cede water rights, but later also backed down. Tipton blasted the Forest Service rule, calling it “theft” of water rights and complaining that it’s a symptom of a broken process in Washington – one where rules are put into place and never again reviewed. Congress needs to get involved with the rulemaking process, he said. About the Endangered Species Act, he said the law doesn’t provide a clear idea of the target numbers each state needs to match on protecting species. “We appreciate the Act for what it did” for eagles, Tipton said. But it needs to be more specific on the issue of the sage grouse, for example. Tipton noted that unemployment in the district is now about 10 percent, well above the state or even national rates. He believes cutting back on federal regulations would stimulate the economy and bolster job growth, and he intends to continue that fight into the next Congress. Like Schwartz, Tipton touted ability to reach across the aisle, saying that every bill that he has been able to pass out of the House did so with bipartisan support. He has sponsored five bills that have been signed into law, most recently a measure requiring the executive director of each federal agency to develop a software licensing policy. Tipton serves on the House Financial Services Committee and on two related subcommittees. He previously sat on the House agriculture, natural resources and small business committees. But Tipton’s voting record as a whole is hardly bipartisan. The web site Ballotpedia said that for 2013, Tipton voted 98.2 percent of the time with his fellow Republicans. In 2014, it was 94.2 percent. InsideGov rates him as “very conservative” on individual rights, domestic issues and defense, and “moderately conservative” on economic issues. GovTrack rates him among the more conservative members of Congress, saying he “usually” votes with his caucus. Does that play well in the district? The Denver Post, in its 2012 endorsement, advised Tipton to take a more moderate path. The newspaper didn’t endorse any Third district candidate in 2014. Regarding GOP presidential nominee Donald Trump, he said, “Do I agree with the Republican nominee every time? No.” But, he added, the role of Congress is not to be a rubber stamp for any administration. 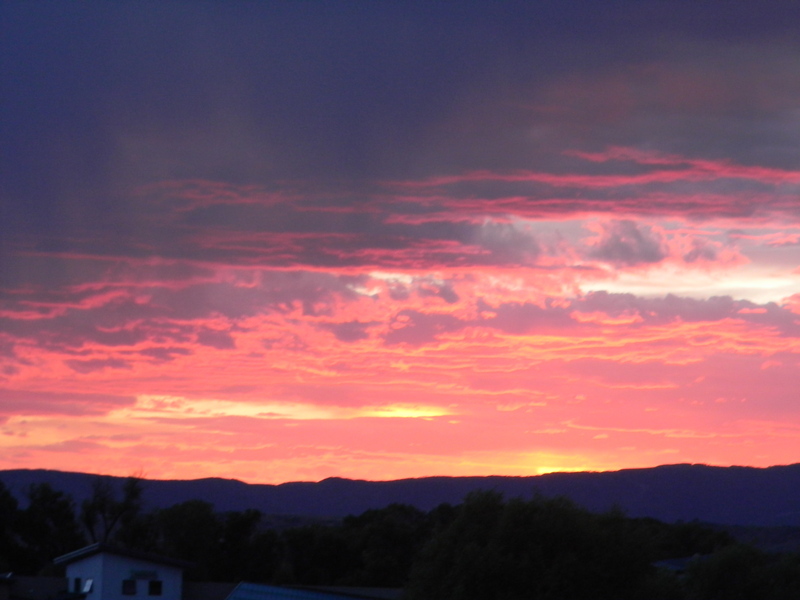 Sunset over the Yampa River Valley August 25, 2016. I was roughing this week in Steamboat Springs at the Colorado Water Congress’ 2016 Summer Meeting. It was a full agenda along with appearances from Senator Bennet, Senator Gardner, Representative Tipton, former State Senator Gail Schwartz, and Senate candidate Darryl Glenn. I think the Colorado mountains inspire good will and friendliness. Doug’s agenda provided breaks long enough for attendees to network, catch up, and learn about each other. I ran into a guy whose firm has done some VIC modeling as I aspire to do. The highlight for me was a walk around the Yampa River Botanic Park. Marsha Daughenbaugh from the Community Agriculture Alliance walked us through the history of the county focusing on agriculture. The Routt County economy is dependent on Steamboat Resort of course, but thousands of acres are still producing hay, barley, wheat and pasture for cattle and sheep. We talked about the administration of rivers by the State Engineer’s Office. She had read Brent Gardner-Smith’s recent account on the subject. Sen. Michael Bennet this morning made a pitch to the state’s water community for sending him back to Washington, despite the rank partisanship that characterizes Congress these days. Colorado’s senior senator spoke this morning to 340 water leaders attending the summer conference of the Colorado Water Congress in Steamboat Springs. In prepared remarks, Bennet cited his bipartisan efforts on immigration, the farm bill and education, and touted his ability to work across the aisle with Republican senators such as Cory Gardner of Colo., Roy Blunt of Missouri and Lamar Alexander of Tennessee. He also spoke about the continued efforts to clean up the Gold King mine disaster in Durango, stating that when it comes to water issues, the federal government should “do no harm,” although the Environmental Protection Agency caused the Gold King leak. The efforts of the local community trying to protect its tourism industry have been impressive, he said, and as a result the Durango area’s economy is doing well. Bennet pledged to continue to push the EPA to reimburse the community and the tribes for the damage. He also will continue to work on legislation with Gardner and Rep. Scott Tipton of Cortez on so-called “Good Samaritan” legislation that would allow mine cleanups without fear of lawsuits. “The spill was a reminder that there are thousands of abandoned mines across the West,” yet the nation’s mining law dates back to 1872. That’s also legislation that he’s working on with New Mexico lawmakers. Bennet also took aim at those in Washington who are more interested in playing politics than in making constructive change. In a free-flow question and answer session after his speech, Bennet took off the gloves and talked at length about what frustrates him most: Congress’s broken culture and its inability to do anything. He started off by noting a poll that showed only 9 percent of Americans approve of the job Congress is doing, and comparing it to other things that have higher approval than 9 percent: the Internal Revenue Service (40 percent), reality TV star Paris Hilton (15 percent) and the percentage of people who want the United States to turn communist, at 11 percent. While he believes Congress is hamstrung by partisanship, Bennet also said that some of those who say Congress is broken “are the arsonists lighting the house on fire.” Their fuel, he added, comes from both sides of the aisle. At times Bennet appeared exasperated – not at the audience, but at the partisan problems he says infest the nation’s capitol, a city where he grew up. It was an unscripted Michael Bennet, one who momentarily stood with his hands on his hips, shaking his head. Bennet said he has tried to work with his Republican colleagues – such as Sen. Richard Burr of North Carolina on improving the approval process of the Food and Drug Administration. Before that legislation, the FDA would approve 1 or 2 drugs per year. But in the past four years the FDA has green-lighted 50. Bennet also gave a strong defense of the science backing man-made climate change. He noted polls of independent voters who overwhelmingly say they would be less likely to support someone who denies that climate change is real and/or caused by people. It was a subtle dig at his Republican opponent, El Paso County Commissioner Darryl Glenn, who has said he’s skeptical of man-made climate change. The time has come to adopt policies at the national level to prepare for climate change before the trend becomes unfixable, Bennet said. Colorado’s economy is already threatened by climate change, such as increasingly extended fire seasons and the threats wildfires pose to forests and the state’s water supply. “I’m optimistic,” Bennet said. There are real opportunities to get results for Colorado and the nation. “The public is sick and tired of rank partisanship,” and Bennet said he hopes that this year’s election creates political momentum for that to change. And “if the election goes the way many think it will go, I hope it will incentivize the Republican party to put the capitalists back in charge,” he said. Bennet recalled a town hall held in the “worst tea party town in the state” (which he didn’t identify), with people calling him a socialist, and claiming President Obama wasn’t born in the United States. The only antidote to partisan politics is to vote out of self interest, state interest and in the interest of the country. Sen. Michael Bennet touted his own record of bipartisanship on Colorado water issues at the summer convention of Colorado Water Congress, while his challenger Darryl Glenn stressed government accountability. Glenn said there is room for disagreement, but there needs to be more respect in national politics. Bennet talked about the local efforts to rebound from last summer’s Gold King mine spill, which he toured with Republican Sen. Cory Gardner. “We are working together for Good Samaritan legislation so that cleanup can happen without fear of liability,” Bennet said. Bennet talked about protecting agriculture, tourism, West Slope industry and East Slope diversions from the Colorado River. He also said the federal government needs to act on wildfire prevention and stop diverting watershed improvement funds to fight fires. He also spoke of the need to repair aging water delivery systems. “Because of the politics in Washington, D.C., we don’t have the decency to repair the infrastructure that our parents had the decency to build for us,” Bennet said. Glenn talked about his own experience dealing with water issues on a local level. He was a member of Colorado Springs City Council during the formative years of the Southern Delivery System and an El Paso County commissioner when the Black Forest Fire destroyed 14,000 acres and nearly 500 homes. Those experiences gave him insight into regional water concerns and reinforced his view that constituents have to ask government for the services they need. The opponents differed on the impact of federal overreach on laws like the Clean Water and Endangered Species acts. From Bennet’s point of view, issues would be better managed if the federal government would listen more to local concerns. Glenn said agencies ignore the intent of laws altogether because they lack clarity of purpose. Rep. Scott Tipton renewed his pledge to knock back federal regulatory overreach at every opportunity at the Colorado Water Congress summer conference. The Republican’s Democratic challenger, Gail Schwartz, said she would reach across the aisle to protect Colorado’s resources and interests in Congress. Both candidates stopped by the conference to make their pitch and answer questions at a meeting of a statewide group. The 3rd Congressional District encompasses most of the Colorado River basin, as well as some of the Arkansas River, and all of the Rio Grande and North Platte River watersheds in Colorado. Pointedly, it was the only congressional race on the menu for those at the conference. Tipton, seeking his fourth term, was stringent on the need to keep the federal government from meddling in Colorado water affairs. He said last year’s Gold King mine spill caused by the Environmental Protection Agency was an example of the failure to seek local technical expertise. He railed against federal policies such as Waters of the United States and Forest Service ski area contracts that would have required assignment of water rights. He is backing a Separation of Powers Restoration Act to keep the executive branch from continually interfering. Schwartz, who left the Colorado Senate after eight years, vowed to protect the agriculture, watershed health and natural resources of Colorado, and said she would seek solutions. “One of the challenges is: How do we develop a process that sorts out all of the competing issues?” she said. The candidates had common ground on questions posed by Water Congress. Both said the state’s viewpoint, sound science and technical expertise need to be a part of how federal programs like the Clean Water Act and Endangered Species Act are implemented. Schwartz, like Tipton, said the administration has to be held accountable for its policies. And both support including coal as part of a national energy strategy. “Steel is a critical industry for Colorado, and (EVRAZ) is the largest energy user in the state,” Schwartz said, pointing out that a large coal-fired plant was constructed near the Pueblo plant for that reason. Coal mining and electric-generation are part of the state’s economic fabric. “Let the free market answer these questions moving forward,” she said. Tipton talked about looking into the eyes of a mother whose family lost its income and commiserating with Routt County commissioners over the loss of tax revenue when Peabody Coal declared bankruptcy this year. “We have an opportunity to do all of the above (coal, gas, solar, wind, hydropower) and not pick winners and losers,” Tipton said. Tipton circled back to regulation by the end of his presentation, saying federal regulations add $2 trillion a year in costs. While some regulation is necessary, much is not, in his view. “We need opportunity and not to have the government choking off that opportunity with excess regulations,” he said. Schwartz said she would be better able to work with others in Congress to protect the state. The people who want to build dams or water projects say the regulatory process adds millions of dollars and years of time. Those who object to water projects say they are either old and gray or young and green by the time anything gets done. So nobody’s complaining too much about Colorado’s Water Plan looking at using an efficiency plan called the lean manufacturing model to streamline permits for water projects. The lean model has its roots in private industry as a way to eliminate waste along the manufacturing line, explained James Eklund, director of the Colorado Water Conservation Board. Along those lines, several proponents, opponents and regulators were “locked in a room for three days” to determine what’s wrong and how to fix it. Northern is working on two projects, the Windy Gap firming project and Northern Integrated Supply Project, which combined have consumed two decades and $30 million just to get through permitting. “Permitting is not for the weak of heart. It’s for the stubborn,” Wilkinson said. Mark Pifher shepherded Aurora’s Prairie Waters and Colorado Springs’ Southern Delivery System through the permitting maze, and he had a long list of things that could be fixed on local, state and federal levels. “We can’t have fear of litigation drive the process,” he said. 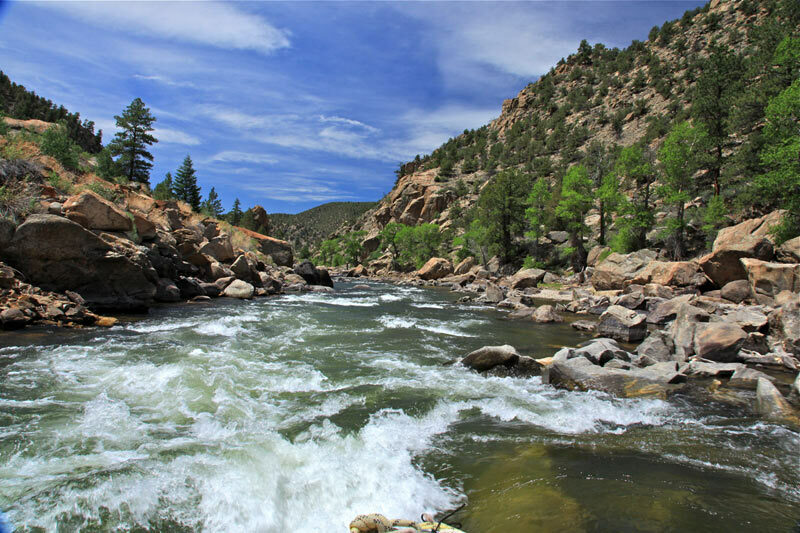 Ken Neubecker, director of Colorado River basin programs for American Rivers, said the review processes already in place have yielded good results. But he, too, would like to see things move more quickly. Still, federal laws like the National Environmental Policy Act, Clean Water Act and Clean Air Act have worked and made the country a better place to live, Neubecker said. Shaun McGrath, head of the EPA’s Denver office, said the laws aren’t really the problem, just the way they are implemented. “One of the impediments has been the lack of stakeholder involvement at the beginning of the process,” McGrath said. Environmental reviews also search for alternatives that might be less damaging as a way to inform the public, not inhibit development, he said. NISP and Windy Gap have taken so long because there is so much to look at. Colorado farmers have little interest in selling their water, but if the terms and conditions were right wouldn’t mind leasing some to thirsty cities. Those were the findings of a survey conducted this year by the Colorado Cattlemen’s Association, asked of farmers across the state with farms of varying sizes. The committee was meeting at the annual Colorado Water Congress summer convention. The survey was explained by Phil Brink, director of the Agriculture Water Network, which conducted the study for CCA and other groups concerned about the future of farming. Colorado is growing by a population of 100,000 annually, the equivalent of a city the size of Longmont, that would require 17,000 acre-feet of water, Longmont’s annual consumption, Brink said. Colorado’s Water Plan estimates that by 2050, nearly 10 million people will live in the state. Without alternatives, 500,000-700,000 acres of farmland could be dried up. Farmers don’t want that to happen. According to the survey, about one-third of farmers are not interested in leasing or selling their water under any conditions. Less than 1 percent said selling is the most appealing option. About 20 percent said they would participate in a water leasing program if offered the chance immediately, while 40 percent would consider one, if the terms were right. Most of those who favor leasing prefer a program, such as the Arkansas Valley Super Ditch, that allows them to control how much ground is fallowed and when in order to lease water. But they also want programs to be carefully structured because of concerns about leasing. In comments, some farmers mentioned that crop prices are now low, making leases more attractive, but they would want the opportunity to use water for crops once prices rebound. Farmers were most likely to lease for prices between $400-$800 an acre, or about $500 per acre-foot. The amounts differ because most ditches apply more than an acre-foot per acre in most years. Other concerns included the perception that if a farmer could do with less water, that might become accepted as the norm, and water rights would be diminished. The results of the survey will be posted online, and workshops in each basin are planned to further explain the survey. Click here to view the Tweets posted with the hash tag #cwcsc16. These meetings are turning into Twitter fests. Chris Woodka was telling folks at the meeting that he is moving on from the Chieftain to the Southeastern Colorado Water Conservancy District. Man, I am going to miss him writing about water. He has taught me so much. Good luck Chris. What Will the Next President Do to Protect the West? Presidential elections present Americans with an opportunity to discuss the biggest challenges we face, and for candidates to propose ideas to address those challenges. Thus far in the 2016 primary race, some of the candidates have done little to address the issues all Americans care about: good jobs, opportunities for our children to get the education they need, and access to care that allows us to lead healthy lives. Here in the West, voters also want to know how candidates will address our unique circumstances. However, through the first two western contests in Colorado and Nevada, many candidates have yet to present a vision to preserve the legacy of the West for all Americans and for future generations. As we seek to address climate change, provide clean energy to power our economy, protect the beauty of the West, and ensure that our great rivers sustain our communities, the next four years are critical. Yet we have heard so little from the candidates about the issues that are important, and unique, to the West. Westerners overwhelmingly support protections for our public lands so all Americans can enjoy them. The candidates should act boldly to stop “land seizure” efforts that would undermine access to public lands. Last year, cuts in water supplies to Arizona were nearly triggered by historic low water levels at Lake Mead. We take more water from our rivers than the rivers can provide. The candidates should have plans to ensure that our rivers can support agriculture, cities, recreation and habitat that rely on our rivers. More than ¾ of westerners want more clean energy from the sun and wind. Our region has the potential to become the nation’s center of clean renewable energy, strengthening our economies well into the future. How will the candidates take advantage of the West’s abundant sun and wind to create an electricity system that creates jobs and powers the economy of the future? We have begun to address climate change, but it will take continued leadership to expand these efforts. Each candidate should present their plan to reduce carbon pollution. Recently, 21 Florida mayors, from both major political parties called on the media and the presidential candidates to address the issues of climate change and sea level rise. Perhaps the West, which has been a leader on clean energy, should follow suit. Leadership from candidates on these crucial issues is necessary. Each of us, as Westerners, should demand that the remaining candidates for our highest office provide it.